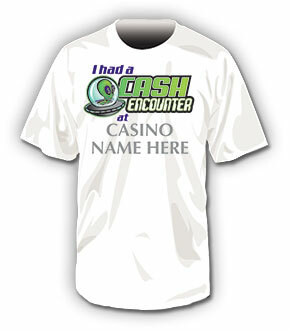 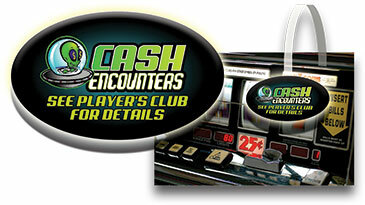 Players have their "Cash Encounter" by earning points on their Player’s Club cards (you determine the point levels). 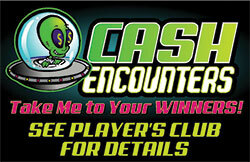 When the players achieve the point levels, they go to the Star Machine and beam up a WINNER. 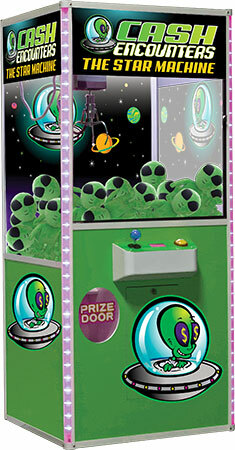 Each alien comes with a scratch off prize tag. 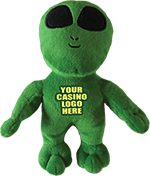 Prizes can be anything - tee shirts, $5, $10, $25 in free slot play to meal comps, room comps- up to a Grand Prize of $500, $1000, or even $5000 - you decide.